Hanging out in bars where writers hung out has become a popular trend over the years. People (especially aspiring writers) want to sit where Kerouac sat, drink what Lord Byron drank, and then pass out like Dylan Thomas. There are even organized literary pub crawls in some areas for those who want to make a whole Hemingway-style night of it. Famous writers' favorite drinks range from straight whiskey to frozen daiquiris, and it’s no secret that some of the greatest writers have been inspired while socializing or people watching in a pub. Many have even penned their best works while completely (or mostly intoxicated), hunkered down at a table in one of the many famous literary pubs across the world. This list contains some of the most popular bars, pubs, and cafes where famous writers were known to frequent. 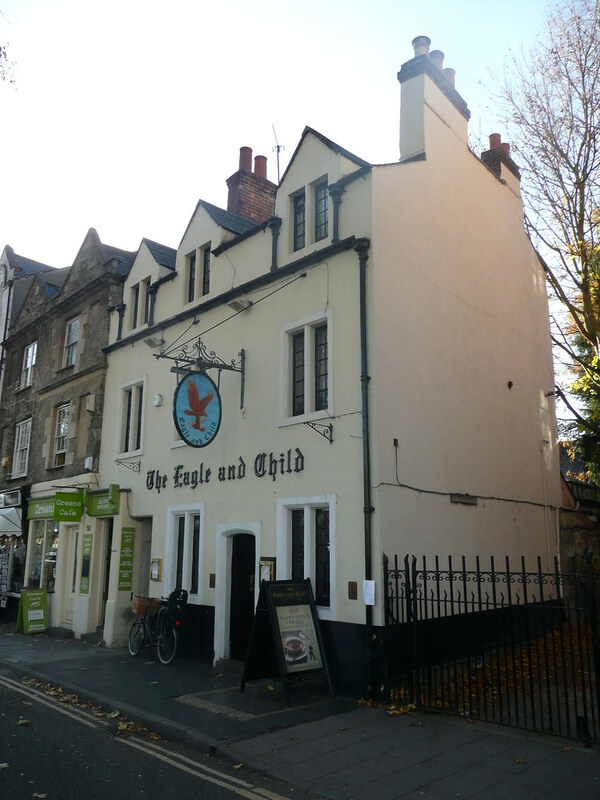 The Eagle and Child dates back to the mid-17th century and was the official meeting place of the writing group called 'The Inklings.' From 1933 into the early 1950s, J.R.R. Tolkien, C.S. Lewis, and the rest of their group met in a private lounge within the bar called the Rabbit Room to critique each other’s manuscripts. The once ultra-exclusive speakeasy, The Frolic Room, which sits on Hollywood Boulevard in Los Angeles, was a favorite haunt of none other than LA's own Charles Bukowski. And if Chuck B. doesn't give it enough of an aura for you, it's also rumored to be the last stop of Elizabeth Stewart, AKA the Black Dahlia. Now, the bar is a great, nostalgia-inducing dive from a bygone era. 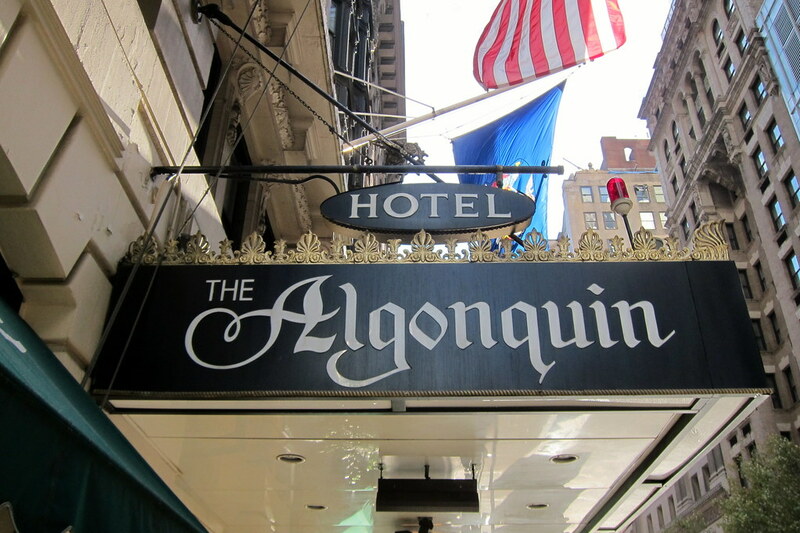 The 'Algonquin Round Table’ was a group of journalists, actors, and writers who met up at the historic Algonquin Hotel’s Blue Bar in Midtown Manhattan. Notable names such as Dorothy Parker, Heywood Broun, George S. Kauffman, Robert Benchley, and founder of The New Yorker magazine, Harold Ross, all graced the Blue Bar’s tables throughout the 1920s. The White Horse Tavern opened its doors back in 1880, and among the notable patrons were Anais Nin, Norman Mailer, Hunter S. Thompson, James Baldwin, and the Welsh poet Dylan Thomas. The White Horse became most famously known as the last place Dylan Thomas had a drink. It was November of 1953 when Thomas (allegedly) threw back 18 shots of whiskey, collapsed on the sidewalk, and ended up being taken to St. Vincent’s Hospital where he later died.